I come from a family of teachers. Both of my parents and all of their children have, for some season of life, made their livelihood by teaching. So when Bible curriculum publisher, Positive Action for Christ, brought me on staff as a curriculum designer and writer, I was delighted. During this time, I had the privilege of writing a year-long curriculum for preschoolers, which was later also translated into Spanish. And in 2018, I was thrilled to write a 13-week study for New Growth Press. This study, Radically Different, aims to help middle-schoolers think about relationships through the biblical worldview lenses of creation, fall, and redemption. This hashtag attempts to sum up the story of the Bible. In creation, God made everything good. Yet because of the Fall, everything is also broken. And Jesus came to make "all things new." Good. Bad. New. These words don't merely condense the narrative arc of the Bible. They also provide lenses through which to view the world. 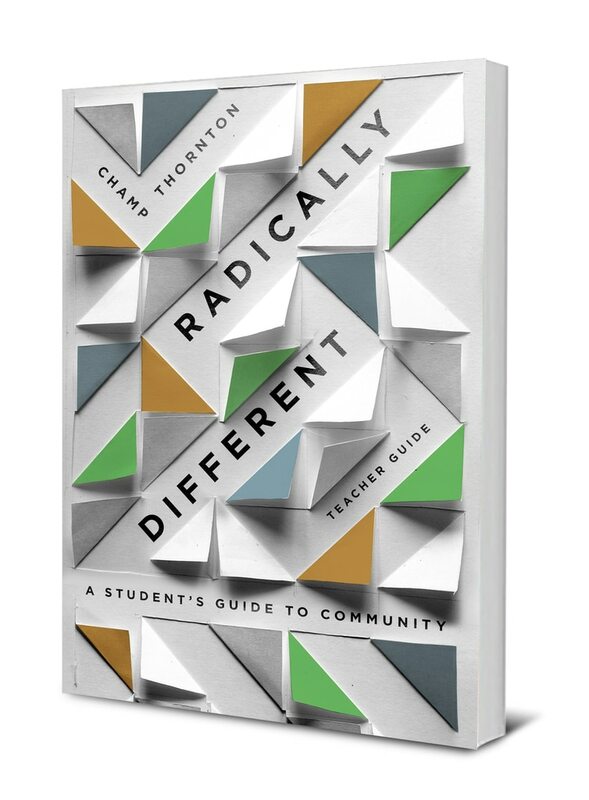 "Radically Different doesn’t aim to be exhaustive or provide a topical dictionary of issues. Instead, the goal is more modest—to help students in middle-school, or around that age, to start thinking biblically about life and relationships, even if it’s out of step with the currents of the day. "I hope this study will help the next generation, my own children included, to live more in harmony with the realities and relationships of God’s Word and world. Through your ministry of teaching, may the Lord lead your students' relationships to be radically biblical and radically different." I've included below some pictures of what the Teacher Guide (including sample pages from the Student Guide) will look like. — Thomas R. Schreiner, James Buchanan Harrison Professor of New Testament Interpretation and Associate Dean at The Southern Baptist Theological Seminary, Louisville, Kentucky, and author of The King in His Beauty: A Theology of the Old and New Testaments. — Tony Payne, author of Fatherhood: What it is and what’s it for; and The Trellis and the Vine. In 40 lessons, Exploring God’s Love introduces preschoolers from the wonders of Creation to the resurrection of Jesus Christ, emphasizing the Father’s glorious love along the way. This year-long curriculum offers Story Cards, Teacher's Manual, and a Student Manual full of original artwork, puzzles, coloring pages, cut-and-paste activities, and more. Available here. Additional elements supplement each lesson. They include a Note to the Teacher, Vocabulary, Scripture Memory, Catechism Questions, as well as Extra Activities that engage and challenge students in the first steps of their education. ¡Llegó el momento de la aventura! Exploremos el Amor de Dios es un estudio que consiste de cuarenta lecciones que llevan a los preescolares en un viaje a través de la Biblia, desde la creación del mundo hasta la muerte y ascensión de Jesucristo. Inspire a sus alumnos con el amor de Dios, haciendo clara la verdad de él mediante historias poderosas, actividades emocionantes e ilustraciones prácticas.